The Sony Alpha a7S II is one of the best selling full frame mirrorless cameras in the world. a7S II offers an impressive blend of sensitivity, dynamic range, resolution, and speed to benefit a versatile multimedia workflow. Revolving around a full-frame 12.2MP Exmor CMOS sensor, the a7S II is capable of internal UHD 4K recording at 30 fps with full pixel readout as well as 1080p recording at up to 120 fps, all in the XAVC S format. 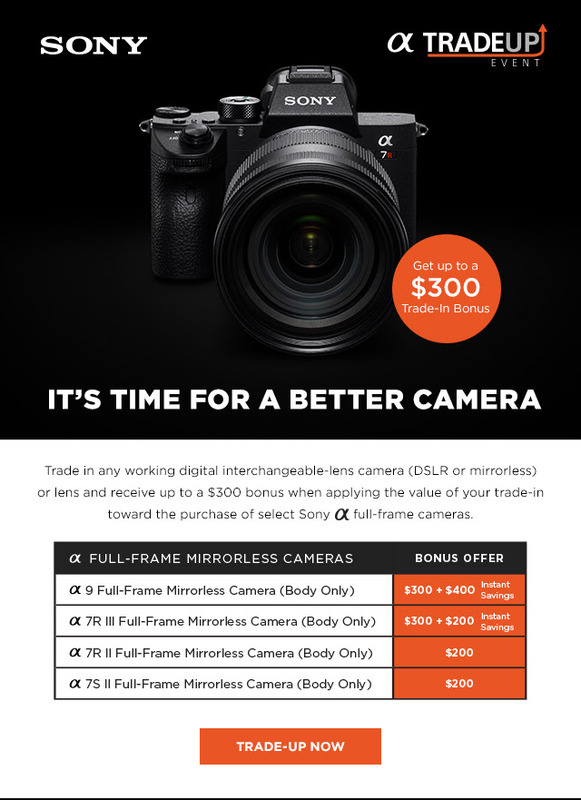 Sony a7 III now In Stock Everywhere, and a7R II & a7S II got $200 Off ! The new Sony a7 III now finally in stock at B&H/Adorama/Amazon. 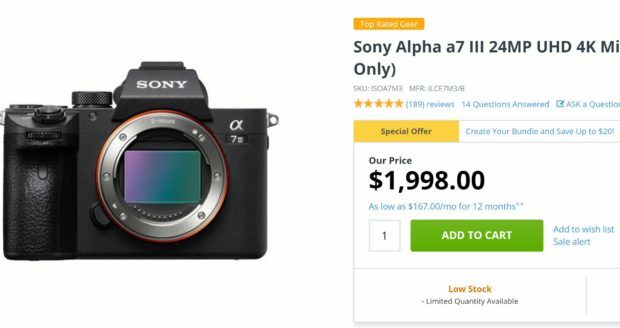 And Sony has just released a new instant rebates on Sony a7R II and Sony a7S II, after $200 instant rebates, you can get Sony a7R II body for $1,798 at B&H/Adorama/Amazon, and Sony a7S II body for $2,198 at B&H/Adorama/Amazon. Author adminPosted on October 10, 2018 October 10, 2018 Categories Sony E-mount CameraTags In Stock, Sony a7 III Deals/Cheapest Price, Sony Alpha a7R II, Sony Alpha a7S II1 Comment on Sony a7 III now In Stock Everywhere, and a7R II & a7S II got $200 Off ! Get Up To A $300 Trade-In Bonus for Sony a9, a7R III, a7R II, a7S II at Adorama ! Adorama currently offers up to $300 trade-in bonus + value of trade-in gears when buying Sony a9, a7R III, a7R II, a7S II full frame mirrorless cameras. Author adminPosted on August 5, 2018 August 5, 2018 Categories Sony E-mount Camera, Sony E-mount LensesTags Sony a7R III Bundle Deals/Cheapest Price, Sony Alpha a7R II, Sony Alpha a7S II, Sony Alpha a9 Deals/Cheapest PriceLeave a comment on Get Up To A $300 Trade-In Bonus for Sony a9, a7R III, a7R II, a7S II at Adorama ! 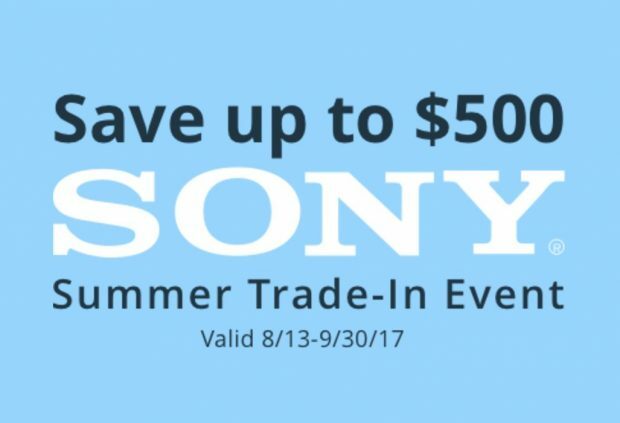 Up to $900 Off New Sony Saving Live ! a7R II $1,998, a7S II $2,198 and More ! Sony USA has released a new Sony instant rebates of Sony cameras and lenses, you can save up to $900 off on Sony cameras and lenses. Some of cameras are lowest price online ever: Sony a7R II for $1,998 at B&H Photo Video/Amazon/Adorama, a7S II for $2,198 at B&H Photo Video/Amazon/Adorama, and Sony a9 for $4,198 at B&H Photo Video/Amazon/Adorama. Author adminPosted on April 22, 2018 April 22, 2018 Categories Sony E-mount Camera, Sony E-mount LensesTags Sony Alpha a7R II, Sony Alpha a7S II, Sony Alpha a9 Deals/Cheapest PriceLeave a comment on Up to $900 Off New Sony Saving Live ! a7R II $1,998, a7S II $2,198 and More ! 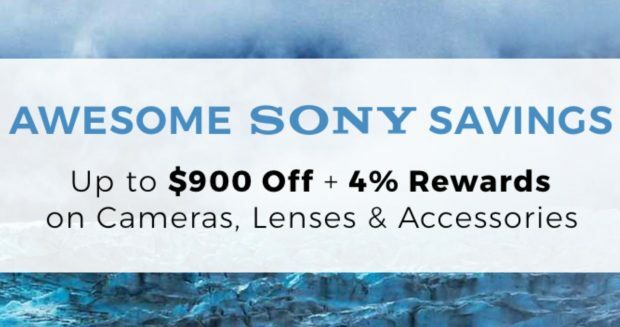 Up to $900 Off & $500 Trade-in Bonus on Sony Cameras & Lenses now Live ! 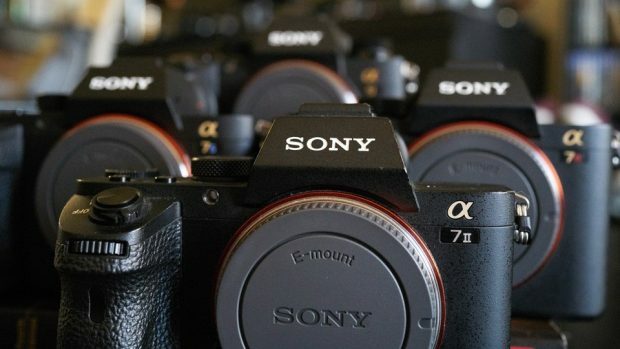 Sony today has released a new rebates on Sony cameras and lenses. You can save up to $900 Off on Sony gears, and also you can get up to $500 trade-in bonus on Sony gears. Author adminPosted on February 4, 2018 February 4, 2018 Categories Sony E-mount Camera, Sony E-mount LensesTags Sony a6500 Bundle Deals/Cheapest Price, Sony Alpha a5100, Sony Alpha a6000, Sony Alpha a6300, Sony Alpha a7, Sony Alpha a7II, Sony Alpha a7R II, Sony Alpha a7S IILeave a comment on Up to $900 Off & $500 Trade-in Bonus on Sony Cameras & Lenses now Live ! 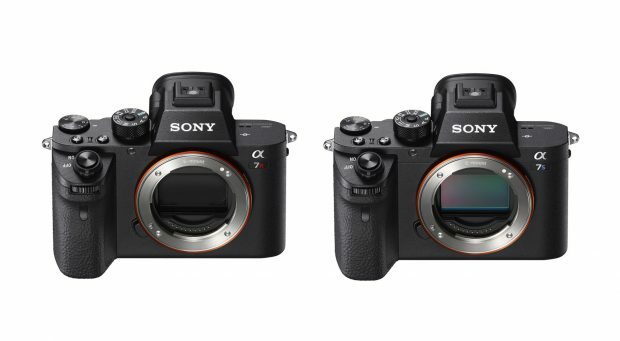 Expired Tonight – Up to $500 Price Drop on Sony a7R II and a7S II Bundles ! The hot Sony a7R II & a7S II instant rebates are set to expired on tonight midnight, November 4th, 2017. So these are last several hours to save $500 off on Sony a7R II bundles and save $300 off on Sony a7S II bundles. Author adminPosted on November 5, 2017 November 5, 2017 Categories Sony E-mount CameraTags Sony Alpha a7R II, Sony Alpha a7S IILeave a comment on Expired Tonight – Up to $500 Price Drop on Sony a7R II and a7S II Bundles ! Expired Soon – Up to $500 Price Drop on Sony a7R II and a7S II Bundles ! The hot Sony a7R II & a7S II instant rebates are set to expired on November 4th, 2017. So these are last days to save $500 off on Sony a7R II bundles and save $300 off on Sony a7S II bundles. Author adminPosted on November 1, 2017 November 5, 2017 Categories Sony E-mount CameraTags Sony Alpha a7R II, Sony Alpha a7S II1 Comment on Expired Soon – Up to $500 Price Drop on Sony a7R II and a7S II Bundles ! Author adminPosted on October 22, 2017 October 22, 2017 Categories Bundle Deals, Sony E-mount CameraTags Sony Alpha a7R II, Sony Alpha a7S IILeave a comment on Up to $500 Price Drop on Sony a7R II and a7S II Bundles now Live ! Up to $500 Off Rebates on Sony a7 & a9 Cameras & FE Lenses Expired Soon ! The hot Sony summer saving on Sony alpha a7 & a9 series cameras & lenses are set to expired on this Saturday, September 30th, 2017. So this is the last week for these hot deals. Author adminPosted on September 25, 2017 Categories Sony E-mount Camera, Sony E-mount LensesTags Sony Alpha a7II, Sony Alpha a7R II, Sony Alpha a7S II, Sony Alpha a9 Deals/Cheapest PriceLeave a comment on Up to $500 Off Rebates on Sony a7 & a9 Cameras & FE Lenses Expired Soon ! B&H Photo Video has posted a buying guide for currently Sony a9 and a7 series full frame mirrorless cameras. If you are planing to purchase a Sony full frame mirrorless camera, you’d better take a look at this buying guide here.